This Spring semester has been good to the Chapman School Counseling program! We’ve long believed the program equips its graduates with the skills and resources necessary to be professional school counselors. 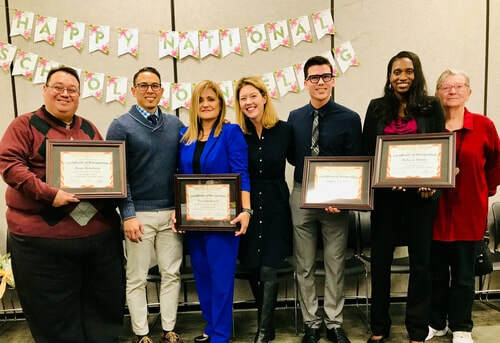 Now, thanks to the Orange County Department of Education Awards, we can say the Chapman alumni are among some of the best school counselors in Southern California. ​In February, just in time for National School Counseling Week, Beau Menchaca (‘02), Andrew Fredriksz (‘16), and Katerina Sorrell (‘14) won OCDE’s High School, Middle School, and Elementary Counselor of the year, respectively. Read all about the event here. Chapman Alumni at ASCC’s alumni panel. PICTURED (from left to right): Tonia Bahner, Dr. Francisco Suarez, Cesar Valdez, Kassie Romero, Karina Luna, Daniella Onofre, and Alexandra Todd. 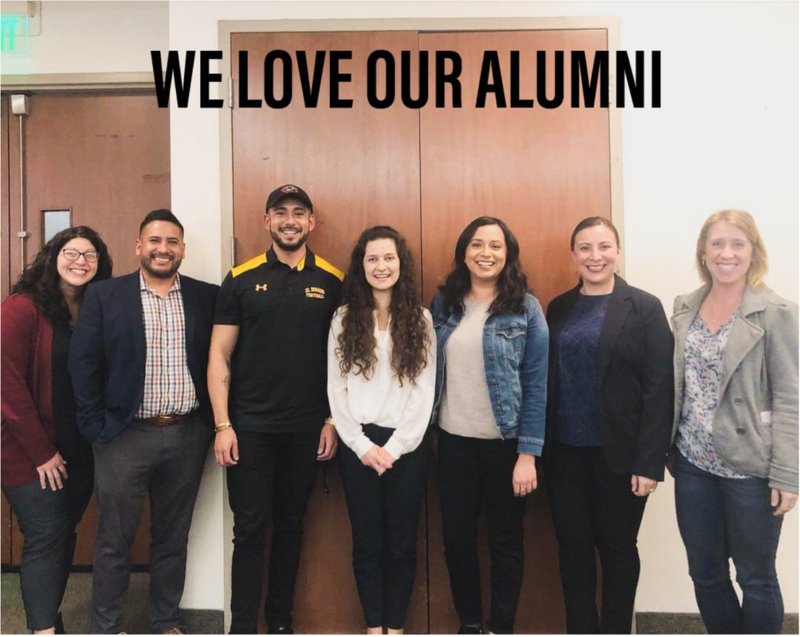 In March, ASCC held its Alumni Panel. School Counselors from throughout Southern California stopped by to offer their wisdom and experience to the new batch of school counseling students. ​Thank you to all the school counselors who made these events possible and for showing us what #pantherpride is all about! 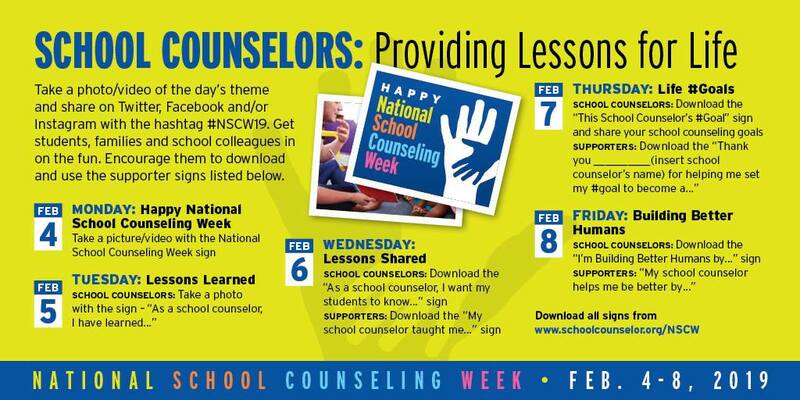 NATIONAL SCHOOL COUNSELING WEEK 2019! ​So, taking a nod from SFBT, let us stay future focused for this semester and do our best to stay driven by our goals and action plans to achieve them. We got this, y'all! Also, while we were away, the ASCC Board has been cooking up some fun new ideas and events for 2019. Stay tuned. What's one of your goals for 2019? 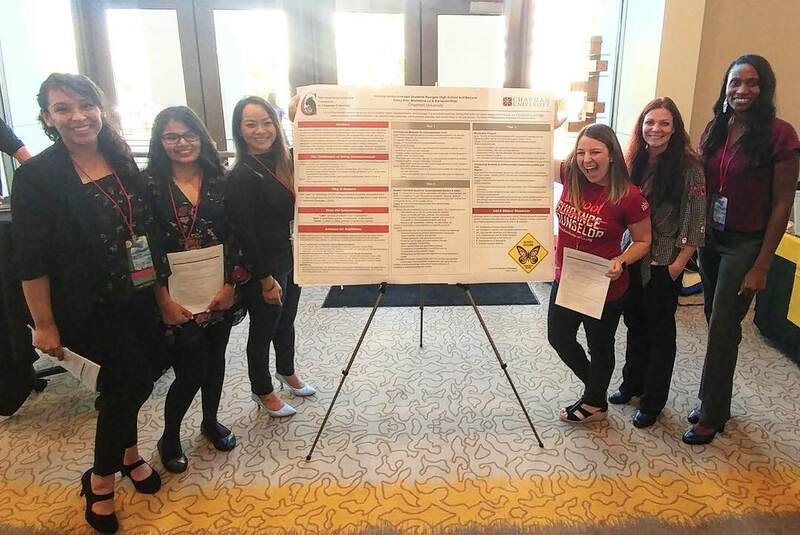 Flashback to last month at the annual CASC conference in Riverside,CA where our very own counselors in training presented their research poster to So Cal Professional School Counselors! 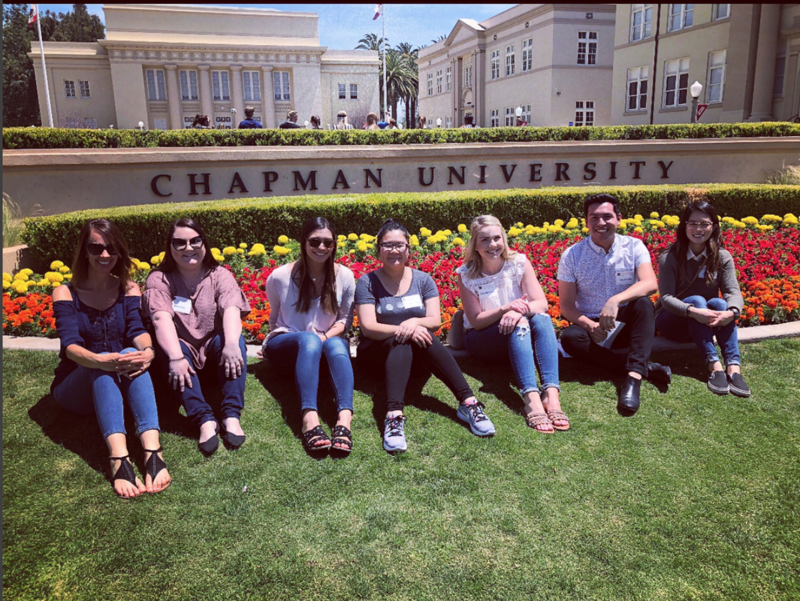 Congratulations Deisy Kim, Madeleine Le and Karlayren Rojo for representing Chapman School Counselors with your work: "Helping Undocumented Students Navigate High School and Beyond". As the school year is getting into full swing, it's easy to lose sight of our 'why'. ASCA created this wonderful infographic that highlights the who and what of school counseling, which is a great tool for School Counselors in training and established professional School Counselors to use for advocacy. While it's great to know who we are and what we do, it's important to come back to our why, especially in our most challenging moments. Why did we choose to become school counselors? Why did we commit to two years of rigorous grad school? Why? Why? Why? Whatever your why is, use it. Have it in your pocket to call upon as you face challenging assignments, struggle to find work/life/school balance (what is balance? ), or a rough day at fieldwork this semester. You got this, and we got you. P.S. We think that the infographic forgot to mention that school counselors are compassionate, helpful, generous, occasionally witty, and superbly good listeners. This is not even close to an exhaustive list...what would you add? Our New First Year Rep! Announcing... The 2018-19 ASCC Board! ​Check back to see who it will be! Welcome, School Counseling Class of 2020! We're so happy to have you. Hi! I'm the official reporter on all things ASCC. As my name suggests, I'm the little Fuzz Bug that's always abuzz with ASCC news! Check in here to get the latest happenings on current members, alumni, and counselors in action!